The foundation to any great pizza is the crust! The foundation for any great pizza is the dough! 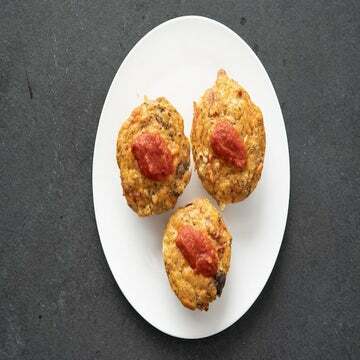 Below are three healthy pizza crust recipes- whole wheat, almond flour and cauliflower. They will stand up to whatever you top them with! 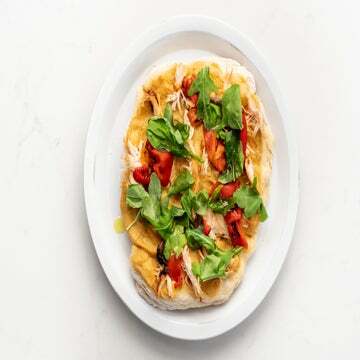 Even an Italian grandma would give this better-for-you crust a resounding mangia! In a small bowl, stir together water, yeast and honey. Let stand for 5 minutes, or until mixture looks foamy. In a large bowl, stir together flours, cornmeal and salt. Add yeast mixture and olive oil to flour mixture and mix until the dough starts to come together. 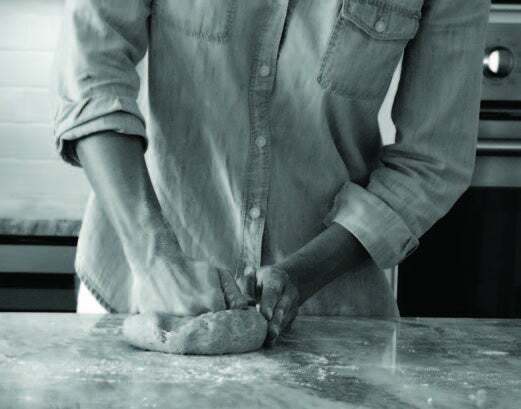 Transfer dough to a generously floured work surface and knead until smooth and elastic, about 5 minutes. If dough remains too crumbly during kneading, add additional warm water, 1 tablespoon at a time. Punch dough down to deflate it, cut into two equal-sized pieces and roll into balls. Each ball will make one pizza. Cover the dough you are using with a towel and let rest 15 minutes before rolling. If you’re not using the other dough half, tightly wrap in plastic wrap freeze for up to 2 months. 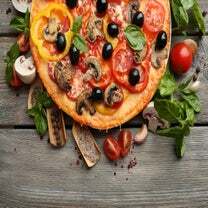 Instead of placing the sauce and toppings on the raw dough as you would with traditional pizza crust, you must cook the crust first and then add the goods. Preheat oven to 375 degrees. In a large bowl, lightly beat eggs and stir in flours, Parmesan, thyme, honey, garlic powder, onion powder and salt. Slowly add in olive oil and 3 cup water; mix gently. The consistency will be similar to thick pancake batter. Place batter on a lightly greased piece of parchment paper or a silicon baking mat. Spread with a spatula into a round or rectangular shape about ¼-inch thick. Transfer to a preheated pizza stone or a baking sheet. Bake for 25 minutes, or until crisp and golden brown. Remove from oven, add toppings and cook as directed by recipe. This low-calorie pizza base has barely a hint of its vegetable origins. Keep in mind that cauliflower crust is less firm than flour-based crusts, so don’t weigh it down with heaps of ingredients. Preheat oven to 450 degrees. Place cauliflower florets in a steamer basket and steam over 1-inch of water until very tender. Place cauliflower in a food processor container and blend until smooth. Let cool and then place cauliflower on a clean kitchen towel or cheesecloth and ring out as much water as possible. In a large bowl, stir together cauliflower with remaining ingredients. Place batter on a lightly greased piece of parchment paper or a silicon baking mat. Spread with a spatula into a 12-inch round or rectangular shape about 4-inch thick. Brush top with olive oil. Transfer to a preheated pizza stone or a baking sheet. Bake for 20 minutes, or until golden and nearly cooked through in the middle. Add toppings and cook as directed by recipe.